URSCA 2018 was held April 29-30 at the University of Lethbridge in Lethbridge, Alberta. URSCA 2016 was held April 1-2 at The King's University in Edmonton, Alberta. 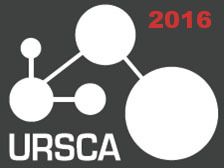 URSCA 2015 was held April 30-May 1 at MacEwan University in Edmonton, Alberta.